Recreational use of peyote is prohibited in all of the states and territories and by federal law. Recreational users of peyote may face large fines or even jail time if caught. Additionally, the sale and production of peyote for non-religious purposes is also against the law in the United States. Although not discovered nearly as often, peyote growers are usually treated the same way by law enforcement as marijuana growers. Although ceremonial use of peyote was also illegal at one time, the United States now exempts this type of peyote use as legal. However, legal peyote use is restricted to the Native American Church. 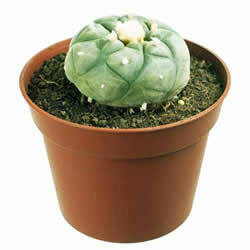 The distinction does not extend to other Native American groups that use peyote in religious ceremonies. As such, a number of religious peyote growers and users have been targeted and prosecuted by local law enforcement agencies. For example, the Peyote Foundation in Arizona was raided by local officials in 1998. Other Native American groups continue to strive for the legalization of peyote, but have not been successful thus far. In 1976, Alan Birnbaum, founder of the Native American Church of New York petitioned the Drug Enforcement Agency to allow peyote use in religious ceremonies. His petition was quickly denied, so Birnbaum decided to sue. He believed that the denial of his petition went against his First Amendment right to freedom of religion. After all, when peyote use was banned in the Controlled Substances Act of 1965, and exemption was provided for users from the Native American Church. The Drug Enforcement Agency argued that the Native American Church of New York had not been exempted in the legislation, and were therefore not allowed to use peyote in their ceremonies. In this case, the Supreme Court decided in favor of the Native American Church of New York, announcing that it too would be protected under the Controlled Substances Act. The decision reached in Employment Division of Oregon v Smith was reversed in 1994 with the passing of the American Indian Religious Freedom Act. This legislation legalized peyote when used in religious ceremonies by the Native American Church. "Employment Division v Smith, 494 U. S. 872 :: Volume 494 :: 1990 "US Supreme Court Cases from Justia & Oyez. "Native American Church of New York v. United States, 468 F. Supp. 1247 (S.D.N.Y. 1979). "Ethiopian Zion Coptic Church. "People v Woody :: 61 Cal2d 716"